At Manx Radio this summer, we have launched an exciting initiative to celebrate all that’s amazing about our local businesses! We have set up a dedicated Facebook page to share stories, news and information about our island, so check it out by clicking here. We have such a diverse and rich array of skilled craftsmen, creative shop owners, artistic chefs and brave entrepreneurs on our island. We really do believe in what they have to offer and want to share their story, their passion and their services with you, so this is where Manx Radio Local Focus steps in. 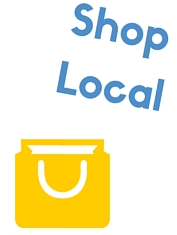 Local Focus is a small idea with big ambition from the Manx Radio business team as we aim to make each and every resident of our fantastic island feel great about our local stores, restaurants and businesses. Are you ready to join the ride and feel great? 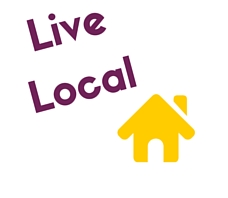 Local Focus isn’t about totally avoiding those online shopping and normal purchasing habits, but giving more thought to those buys. It’s about making that money go further. And by further, we mean go further with the ideas, the unique gifts, and the feeling you get from spending your money locally. For instance, when was the last time you went shopping? Like, real shopping? Retail therapy may be something that brings you out in a cold sweat, flustered and stressed with tired feet – But if you find that perfect gift you’ve been looking for, followed by a coffee and cake to reward your perfectly thought out present – That really does feel good. If we all spent £20 a month locally, whether on a meal out, a gift for you or special someone or a family trip out, rather than off-island or online we would be adding 10 million pounds into the local economy*. This may sound ambitious, but what an amazing achievement to be part of if we all jump on board? Around payday every month, you’ll hear Manx Radio Local Focus commercials on air from our participating businesses promoting their local focus offers. You’ll hear the presenters giving you exciting tips, ideas and information about those businesses and you can join the conversation 24/7 on our dedicated Facebook page – It’s going to be busy, exciting, and upbeat; and we can’t wait! If you like the Manx Radio Local Focus Facebook page, you can share with us your favourite stores, those hidden gems across the island and why you love them so much. You can share images of where or what you spent your Local Focus 20 on that month and join in with this positive community spirit. This Facebook page will be a dedicated, positive environment, so no negativity please! We want enthusiasm, celebrations and passion about our island. If you are on twitter, you can also tweet us with the hashtag #MRLocalFocus to join the conversation. Can you tell we are a little bit excited about it? This initiative is set to be great for both residents and business owners alike. Business owners will be given the chance to be part of a special advertisement package on Manx Radio, and become Local Focus sponsors and ambassadors. This will show they have joined the initiative and are a trusted, recommended business in the Local Focus community. Residents will be able to get new ideas for gifts, places to go and things to see, and share their stories with others. And Manx Radio? We get to help everyone enjoy our island that little bit more. But this is just the beginning. watch this space as we grow local focus further in the near future! If you’re a Manx business owner and want to see how you can become a Manx Radio Local Focus participant or ambassador, get in touch with the business team today. Or, if you’re a resident wanting to join in with this exciting initiative, like the Facebook page now!